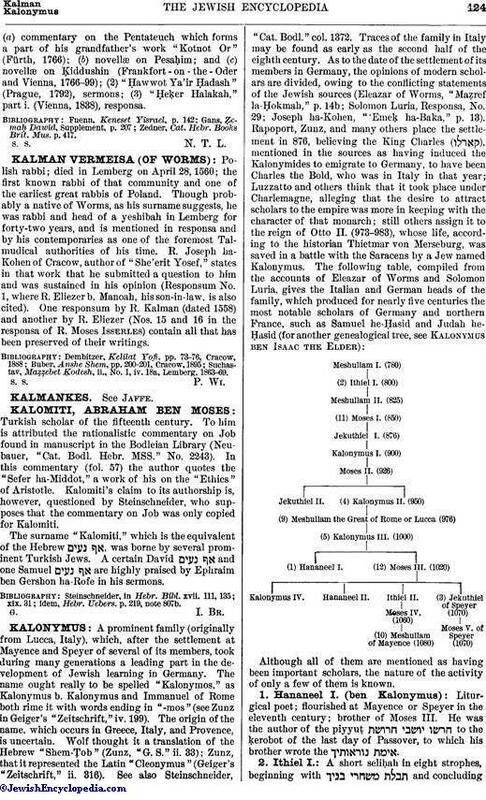 Hungarian rabbi and author; died at Kolin, Bohemia, in 1805; grandson of Meïr Eisenstadt, author of "Panim Me'irot." 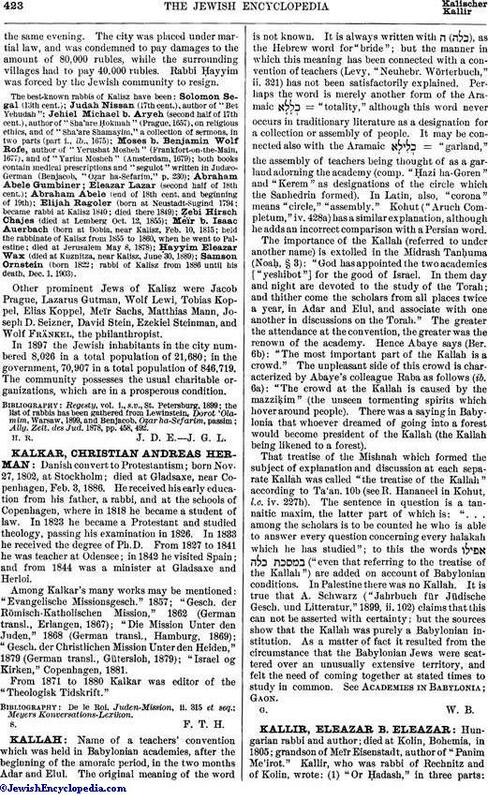 Kallir, who was rabbi of Rechnitz and of Kolin, wrote: (1) "Or Ḥadash," in three parts:(a) commentary on the Pentateuch which forms a part of his grandfather's work "Kotnot Or" (Fürth, 1766); (b) novellæ on Pesaḥim; and (c) novellæ on Ḳiddushin (Frankfort-on-the-Oder and Vienna, 1766-99); (2) "Ḥawwot Ya'ir Ḥadash" (Prague, 1792), sermons; (3) "Ḥeḳer Halakah," part i. (Vienna, 1838), responsa. Zedner, Cat. Hebr. Books Brit. Mus. p. 417. S. S. N. T. L.